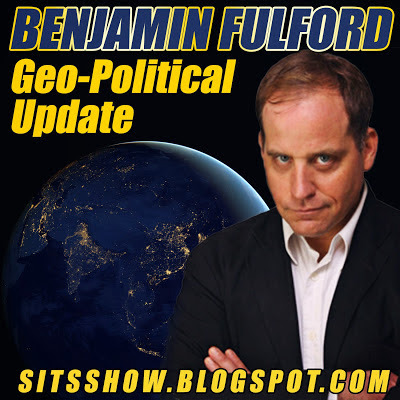 Benjamin Fulford's report from Monday the 21st of December has been updated with the full article. Click here to read the full report. In any case, Turkey’s Erdogan has apparently blinked after seeing his Israeli and US allies lose power one by one. Last week Turkey succumbed to universal international pressure and withdrew the troops it has sent into Iraq. The other Middle Eastern rogue state, Saudi Arabia, continues to struggle desperately for survival. As a part of this, the Saudi government last week announced a 34 nation alliance “against terrorism.” Unfortunately for the Ibn Saud crime family, the most important nations in this so-called coalition denied being a part of it. Pakistan, the only nuclear armed Islamic State, openly denied Saudi claims they were allies. Indonesia and Malaysia, two other major Islamic powers, are also not planning to militarily support the Saudi regime. Leaders in most genuine Muslim countries are fully aware the Saudi royal family are not really Muslims but rather members of the Satan worshipping Khazarian mafia. With oil prices dropping to $30 a barrel and with hedges made at $70 a barrel starting to expire, the Saudis will soon no longer be able to afford the mercenary armies that are keeping them in power. This in turn will affect the big banks like Citibank that rely on recycling Saudi oil money for a large part of their business. Big bankruptcies are expected in January and February in connection with all this. There are also a series of moves being made against the Khazarian mafia inside the United States. Sheldon Adelson and Rupert Murdoch, to major Khazarin power brokers, have been shown to be using corporate control of the media to tell lies and distort court cases. The New York Times has also been caught deleting important news from its pages.